The doctrine of the Roman Church on Purgatory has some resemblance to the doctrine of the Orthodox Church on the possibility for some sinners to be released from the bonds of Hades by the prayers of the living, although it has also some difference. To properly judge between the one and the other one must understand the teaching as set forth by the Roman theologians themselves. a) there is a purgatory, that is to say a place or state of atonement (status expiationis) in which the souls of those who died without having received absolution for even slight faults, or even after obtaining absolution for their sins, but without enduring in this life the temporal punishment for sins, suffer torment to satisfy Divine Justice, until they have been purified by these torments and have become worthy of eternal felicity. b) the souls of those in Purgatory are in great need of prayer to aid them, such as alms, and especially the Bloodless Sacrifice. a) Is Purgatory a specific place or not, and if so, where is it? Are the sufferings of the souls in the purgatorial fire real or metaphorical? II .— Stopping our thoughts on the essential part of the Roman doctrine concerning Purgatory, we find some resemblance to that of the Orthodox Church on the prayers for the dead, and at the same time some differences. 1) There is similarity in the fundamental idea. 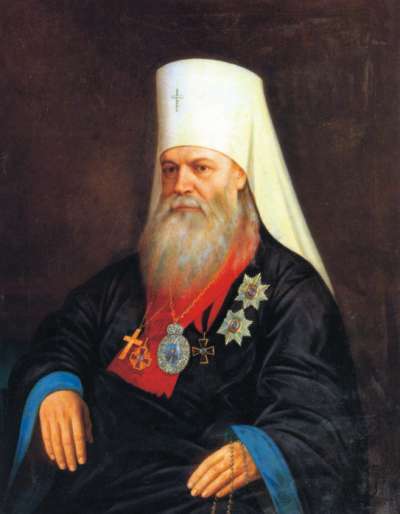 Indeed, the Orthodox Church teaches, like that of Rome: —- a) that the souls of some of the dead, namely those who died in faith and repentance, but without having had time to bring in life fruit worthy of repentance, and therefore, did not manage to receive from God complete forgiveness of their sins and be purified, undergo torments until they are deemed worthy of forgiveness and cleansed ; —- b) that in such cases the souls of the dead are benefited by prayers for them from those of their brothers in Christ who are still living, their works of charity, and especially the Offering of the Bloodless Sacrifice. a) the first idea is false, as we have already seen,  that is, that a sinner who repents before dying should still bring a kind of satisfaction to divine justice for his sins undergoing some temporal punishment for this purpose, and that in Purgatory, for lack of being able to suffer here below. Complete satisfaction to Divine Justice, the same superabundant satisfaction, was Presented once and for all, for all sinners, through Jesus Christ Our Savior, Who took upon Himself the sins of the world and all punishment for sin; and, to obtain complete forgiveness of God and freedom from all punishment of sin, sinners have to appropriate the merits of the Redeemer, that is to say, believe in Him, truly repent of their sins, bring forth fruits worthy of repentance, i.e., good deeds. Consequently, if there are sinners who, having repented before they died, have, despite this, torments to endure after death, it is only because they do not have time to fully appropriate the merits of the Savior, either because of the weakness of their faith in Him or by an effect of the failure of their repentance, and mainly because they did not bear fruits worthy of repentance, and were not actually purified from sin, as the Orthodox Church teaches. c) If the souls of some of the dead suffer in Purgatory, even repentant sinners must necessarily suffer a temporal punishment for sin in satisfaction to Divine Justice, and, if the souls suffering in Purgatory are truly cleansed and meet their obligation to Divine Justice, then, the question is, “What is the point of prayers and the general intercession of the Church in their favour?” The souls in Purgatory necessarily have to suffer until they have fulfilled the desired satisfaction and have been purified by suffering; now, if the prayers of the Church only weaken and alleviate that suffering, instead of shortening the period of time that souls must pass in Purgatory, they (the prayers) prolong it and therefore are less useful than harmful. Does this not, of course, overturn the fundamental idea of the dogma of the prayers for the dead? 2) The Orthodox Church strongly rejects the teaching of a Purgatorial fire, in the truest sense of the word, which cleanses the soul. (8) A great number of Roman theologians consider this fire as real and material (this being the almost universal belief of the laity of the Roman confession), and to garner proof of their teaching they attempt to collect from the Holy Scriptures and from the writings of the ancient Doctors of the Church references that seem to refer to such a fire (9). Others, however, understand the fire of Purgatory in a figurative sense, for spiritual torment, and therefore cite in their treaties on the subject similar evidence either from the word of God, or the writings of the Fathers, adding that the ancient Doctors themselves were of varied opinions on the fire (10). It would therefore be superfluous even to refute the evidence given. It is finally noted that in general their church has not determined precisely what the fire of Purgatory is, if it is material or not, and therefore it does not belong to faith to understand it in one way or another (11). 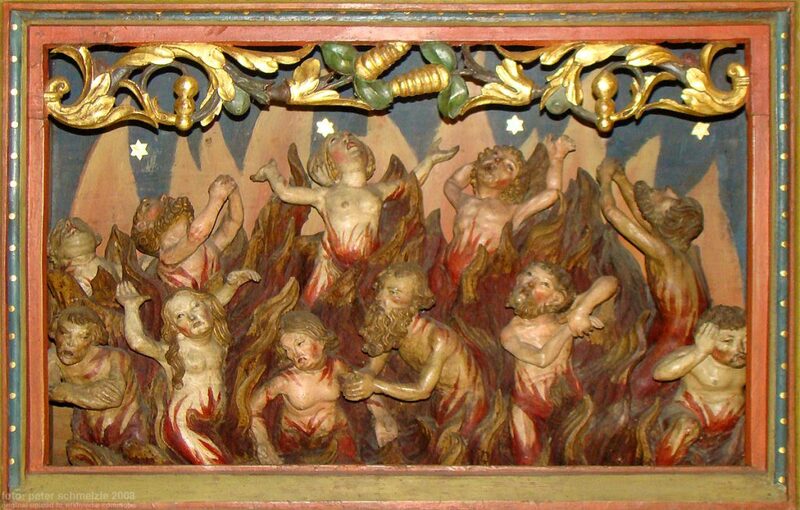 We will say nothing of other opinions concerning Purgatory, for example, how long a soul remains, and if they are all suffer the same space of time for the same penalties; what penalties they face; if they are more stringent than those of the present life and lighter than those of hell; if souls in purgatory pray for themselves and for us who are still in this world; if they give themselves up to the practice of good works, etc., etc. All these opinions have little value even to theologians of Rome and few seriously engaged themselves in answering them (12). 2. The Confession of the Orthodox Faith, Dogmatic Epistle of the Eastern Patriarchs, Part 1, Response 64. 9. Cursus Theologiae Completus. Locus citatus. 11. Bellarmin. De purgatorio. Liber II. S. 11 [Bellarmine. About purgatory. Book II, Chapter 11]. l2. Feier. Institutiones Theologiae dogmaticae VII. P.42-43; Cursus Theologiae completus VII. P.1068-1612.